This guard rail - made of aluminium and stainless steel - is kind to your roof as it is simply weighed down using special weights without penetrating your roof surface. This collective protection mechanism, which is 1100 mm high, can be used to secure a domed rooflight up to 2.5 m x 2.5 m on a flat roof with a maximum pitch of 10°. Our ABS Dome OnTop Weight offers penetration-free fall protection around domed rooflights. 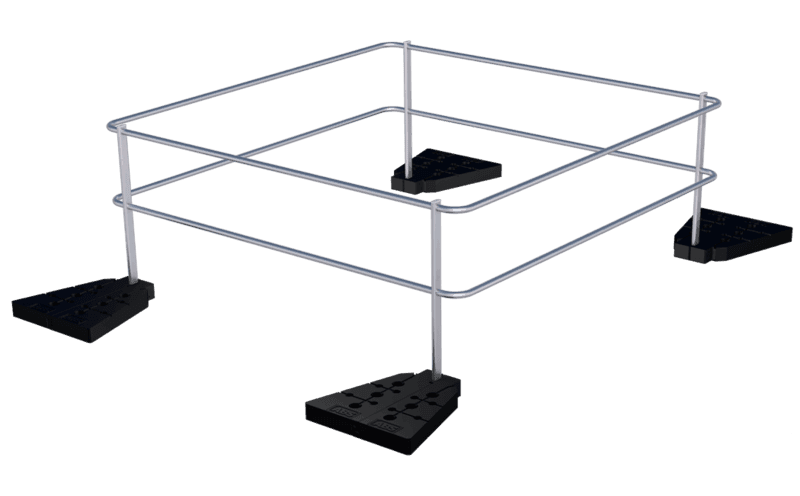 A specially-designed, UV-resistant synthetic weight is placed at each of the 4 corners of this guard rail system to weigh it down and keep it in place. This means that it is no longer necessary to penetrate or damage your roof membrane surface. 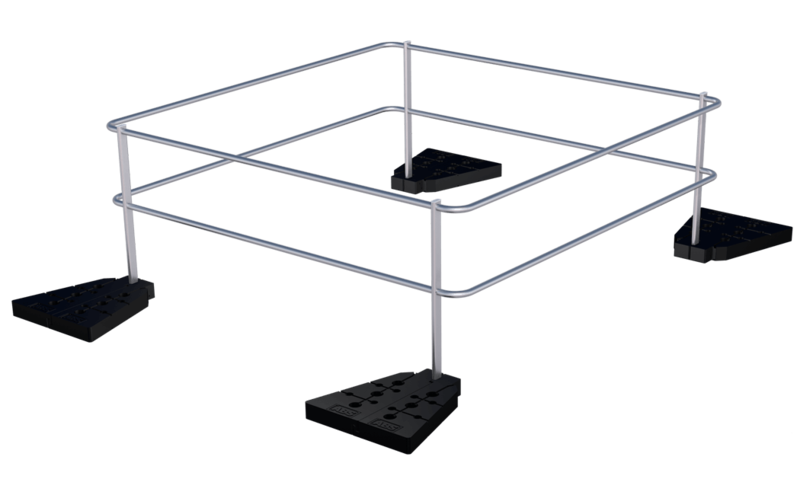 Due to its easy-to-handle design, you will not have any problems getting the individual system components up onto your roof. Our ABS Dome OnTop Weight guard rail is tested and certified in accordance with EN 13374:2013 (wind load). It is suitable for usage on any flat roof surface with a maximum pitch of 10°. The handrail is at a height of approximately 1,100 mm. The system is supplied with special fleece material which is placed under the weights to protect the surface.